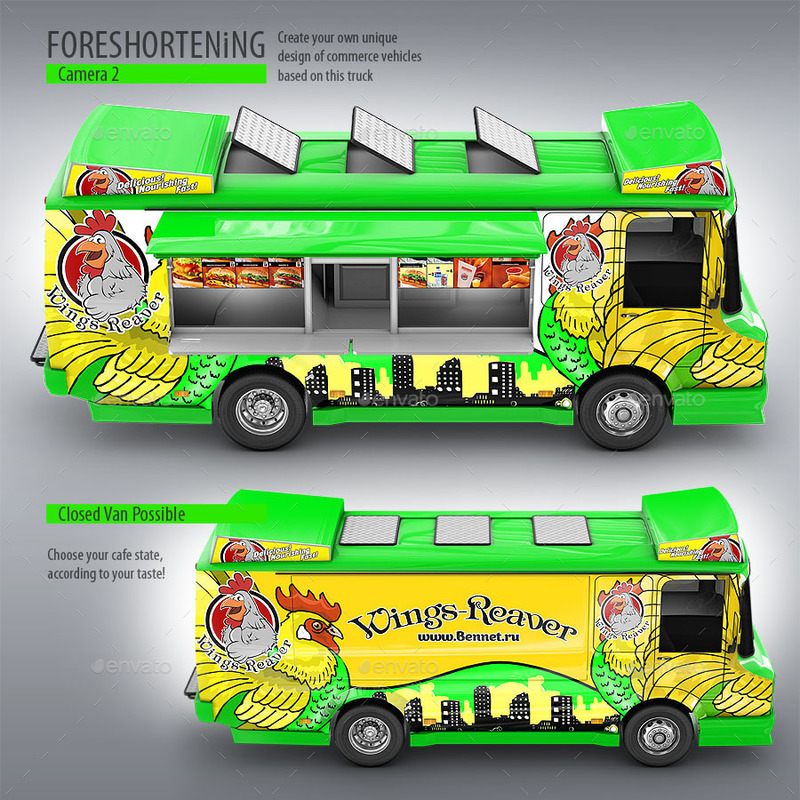 Food Truck Mock-Up. Unique 3D model mockup. 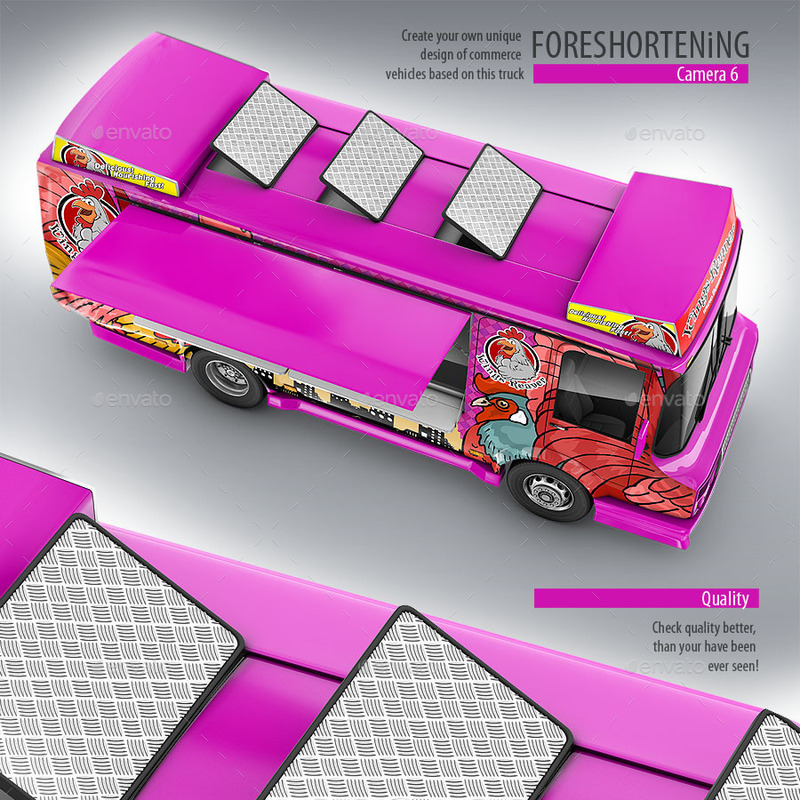 Set includes 9 hi-res 3D renders in 9 layered psd files 6000×4000 resolution. 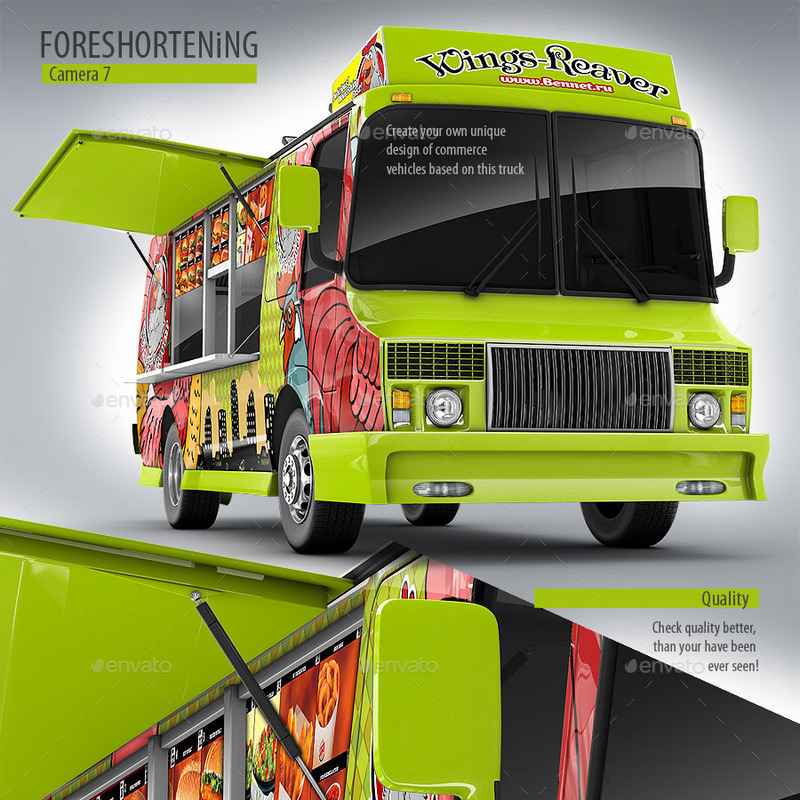 This is a unique Unidentified model of abstract food truck, created by me. 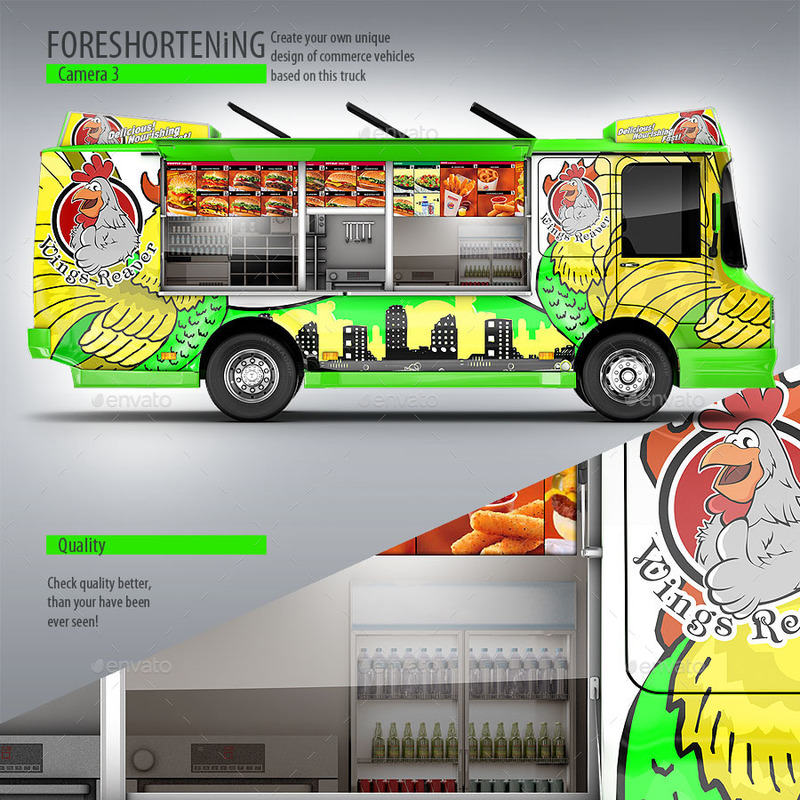 Special for mockup. No link with any automobile brand. All the objects on a transparent background. 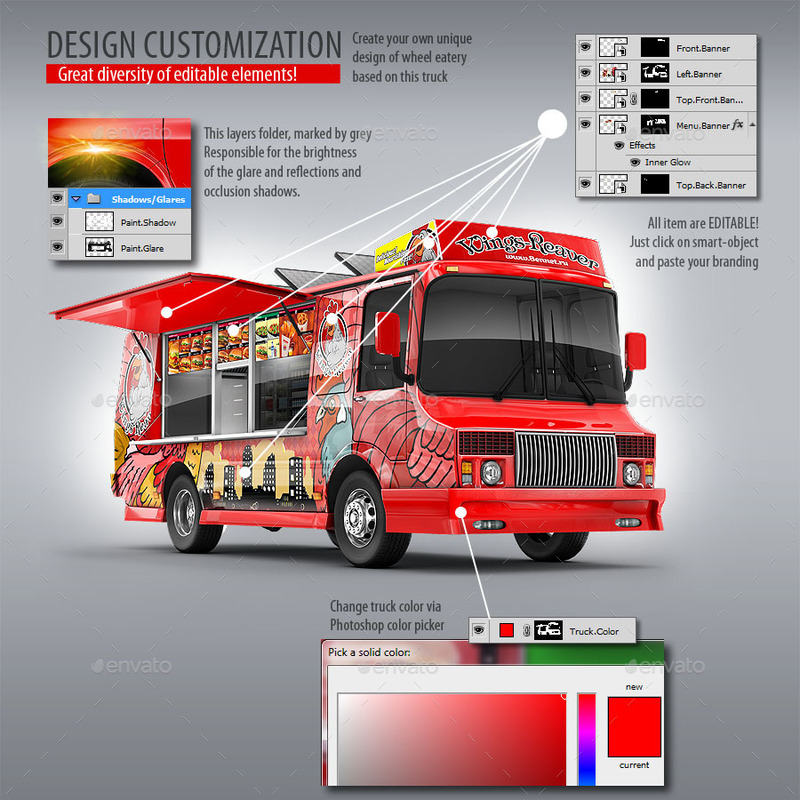 In files – truck color, food menu, banners, background, etc. submitted for the individual layers are named by appropriate way for your convenience. 1. Open any of 9 presented PSD files; 2. All Layers, which self name contains “Banner” and lie in a marked yellow folder “Banner” are smartobjects. Double click on any of its layers; 3. Paste your design image (make sure that your image was in the visible region); 4. Save the layer (smart object); 5. 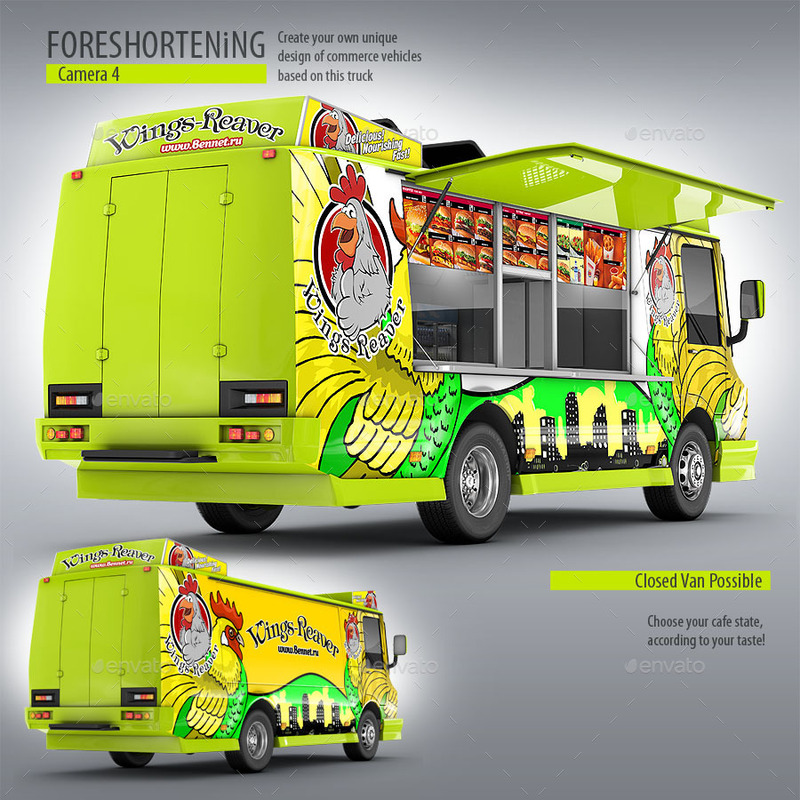 For replacement color of Food-Truck, just change the color of this layer – “Truck.Color” via photoshop color picker; 5. Folder”Shadows/Glares” marked by grey, contains Layers “Paint.Glare” and “Paint.Shadow”. That all Responsible for the brightness of the glare/reflections and occlusion shadows; 6. 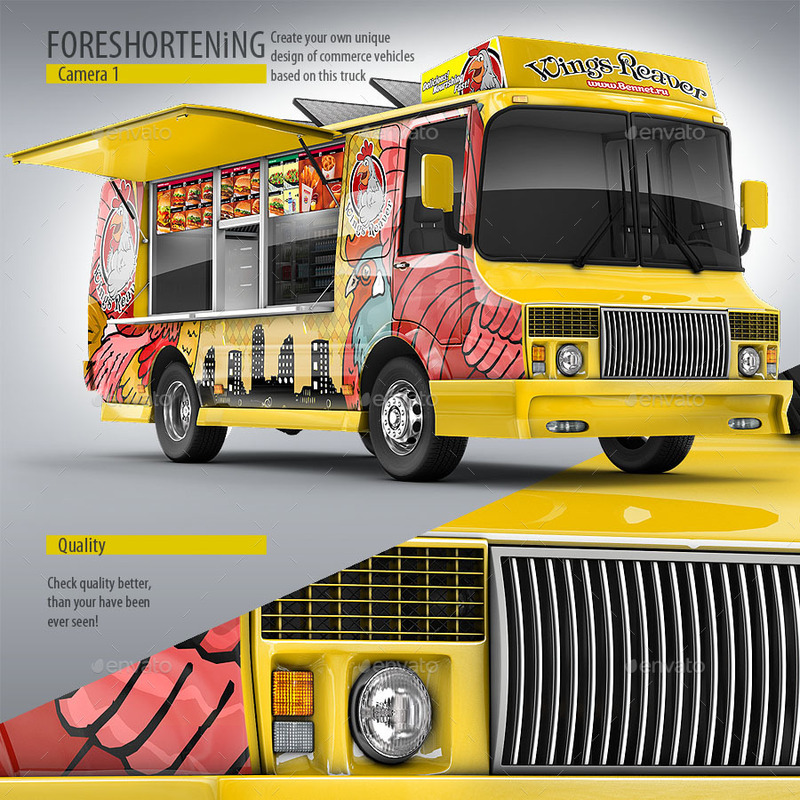 Layer “Food.Truck” is base white render of truck. 7. 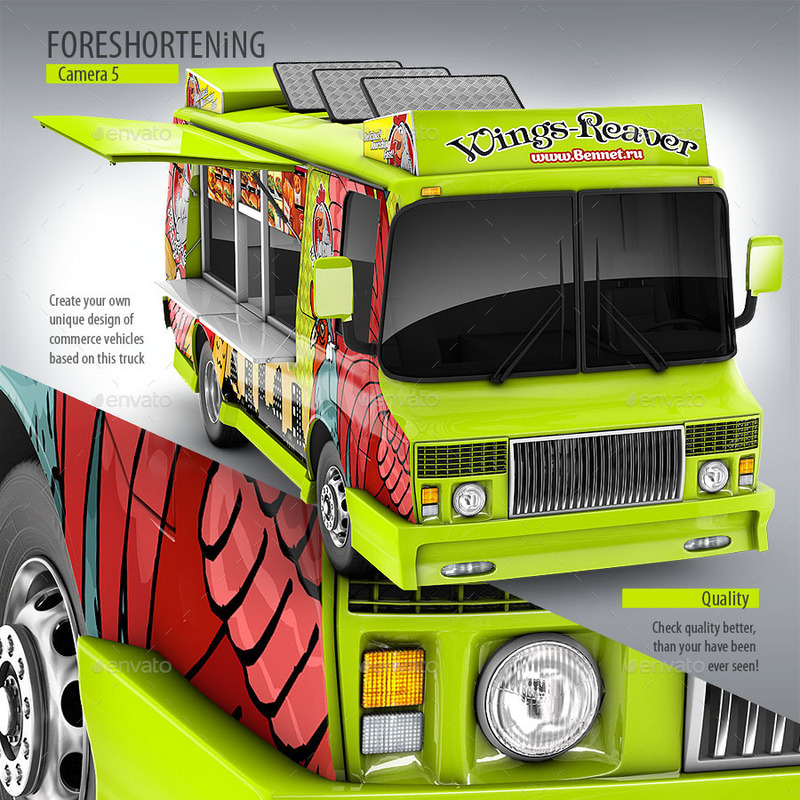 Layer “Shadow” is a shadow under food truck. DO NOT CHANGE LAYERS IN SOME PLACES, if you are novice and do not know how to use photoshop!